William Epp was born in 1930 in Glenbush, Saskatchewan. Growing up on a farm, Epp’s father was also a blacksmith and William became interested in the creative use of metal and wood from an early age. Epp studied in Saskatoon at the Saskatchewan Teachers' College with Wynona Mulcaster (1948-1949) and taught elementary and high school in Saskatoon for almost two decades. Epp continued his art studies at the Banff School of Fine Arts (1949), and at the Winnipeg School of Art witih Cecil Richards (1951-1952). Epp's early art education also included a 1955 workshop at Emma Lake with Jack Shadbolt. He went on to receive his Bachelor of Arts from the University of Saskatchewan in 1968, studying with Eli Bornstein. 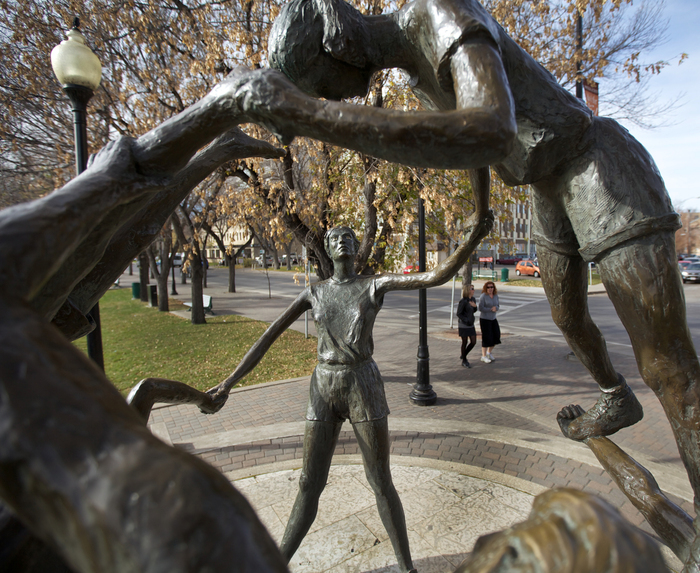 In 1967, Epp began teaching sculpture, design, drawing, and art history at the University of Saskatchewan, a position he held until his retirement in 1993. Working in clay, steel, fibreglass, stone, bronze, and wood, Epp was very prolific in creating figure and portrait sculptures that have been exhibited across Canada and in the United States. 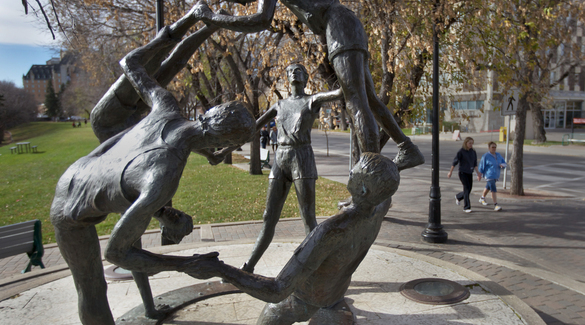 He also received numerous commissions over his career, including from the Government of Saskatchewan (1985), Ukrainian Museum of Canada (1986), and many churches, cities, and other organizations. Of particular note is his 1992 piece for the Assiniboine Park Zoo in Winnipeg, Manitoba featuring Winnie the Pooh and WWI Lieutenant Harry Colebourn. Epp was able to travel throughout his career. He received a Saskatchewan Arts Board grant in 1966 that allowed him to travel to Europe and the Middle East, and he took a sabbatical in 1977-1978 to travel through Indian and Europe. He later spent three months in Africa. Epp created his own bronze foundry on his farm and often invited artists and students to learn about sculpture there. 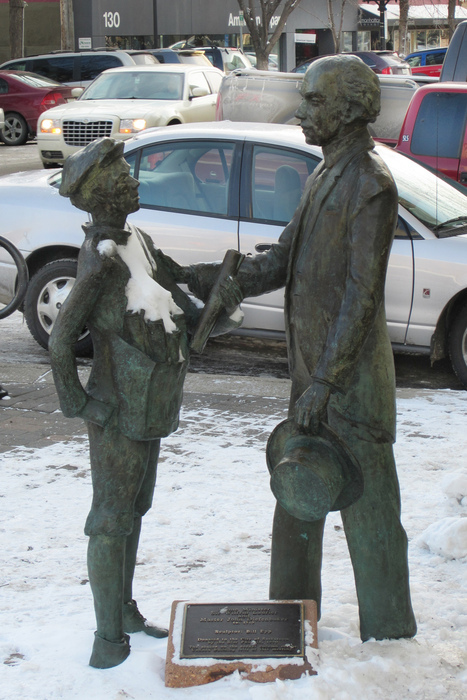 He founded the Prairie Sculptors' Association in 1982. 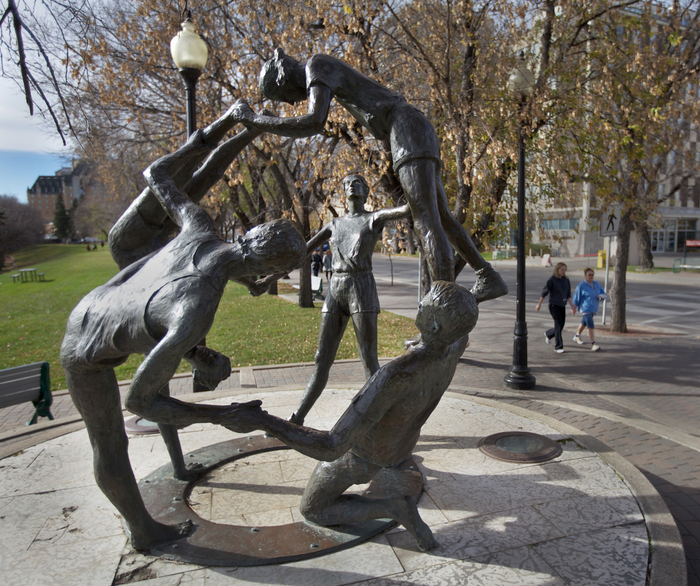 Epp's work is represented in the collections of the Saskatchewan Arts Board, Mendel Art Gallery (Saskatoon), University of Saskatchewan, the City of Saskatoon, and many other cities and institutions. William Epp passed away in 1995. In 2006, “The Bill Epp Show” featuring many of his works, was exhibited at North Battleford, Saskatchewan's Chapel Gallery.